You may receive updates from Beyond the Bomb, the sponsor of this form. Spring has sprung and that means it is time for the age old tradition of spring cleaning. But this year, Beyond the Bomb is looking to dig in deep and tackle a mess that has somehow escaped year after year: US Nuclear Policy. 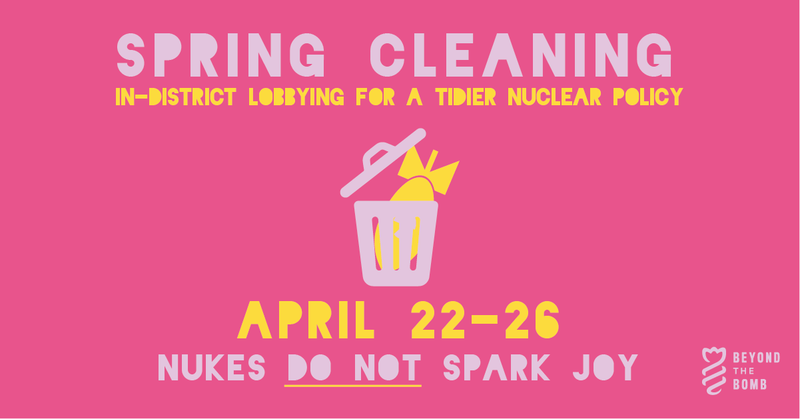 Join us and our partners in the United Against Nuclear War coalition as we meet with Members of Congress while they are home for a little spring cleaning of their own.